A Tabletop Fogger Fountain with Color Changing Lights. Stuff Points: Earn 46 points when you buy this stuff. Beautiful, beneficial and so much more. This table top model misting fountain is a remarkable piece of home decor that will look great while it improves the air in your home. 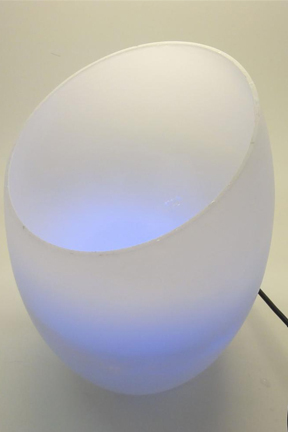 It is like a color changing lamp, a humidifier, and an air purifier all in one. Add some essential oil to the water and it will also act as a fragrance diffuser to naturally add a pleasant scent to the air as well. At it's core, it has an ultrasonic anion humidifier with colorful lights that rotate through several different lighting modes. As it runs, a thick cloud of mist is generated, which fills the vase to create an amazing look. This mist or fog will slowly billow out to disperse into the air in your home, so it will be acting as a humidifier in much the same way as a standard cool mist humidifier does. Because negative ions are also generated as it works, it will neutralize dirt, pollen and other particles as it makes the mist. This will result in cleaner air, that is easier to breathe. Add in the soothing sounds of running water and you have one great looking piece that would improve upon the decor of any space. Most humidifiers are large and obtrusive, or just made for children. On top of that, you have to spend a lot of money to get one that does anything more than just blow water around. This is equally useful as a climate control device or a decorative fountain, and it will act as both while it is running. 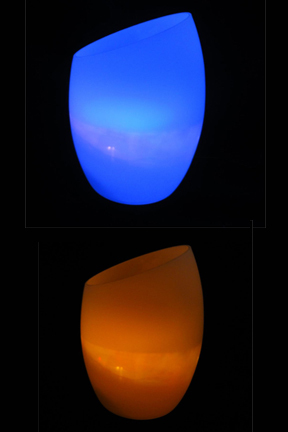 The light show, in combination with the mist, is truly mesmerizing because it will cause the whole vase and it's contents to glow and change colors. Because the container is frosted, but clear, it will take on whichever color the lights change. The foggy mist acts the same way, so this is one fountain you have to see to believe. It is a great conversation piece, and friends and family members will be asking you where you got it. There are no chemicals required, and it does not take anything replaceable to make the magic happen. The misting device sits submerged in the water, and it is basically causing evaporation on it's surface via the ultrasonic oscillation. You get a decorative humidifier that purifies the air, and it can also act as a fragrance diffuser too. This mister model features a simple table top design. It has only one part to make up the body, and it will sit right on the surface of any table, desk or shelf. 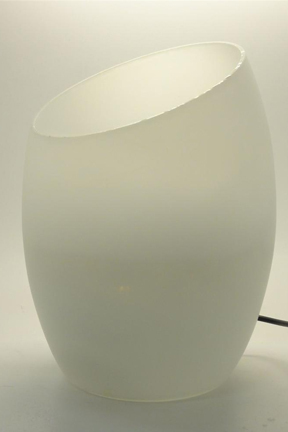 The sturdy glass vase is thick and durable, and it is frosted to create a semi-translucent look. It comes complete with all the electronic parts, and set up is as easy as placing in the mister and plugging the unit in. It has an automatic shut-off sensor on the mister, so when there is water in the bowl it will mist and change colors, but when the level gets too low, it will shut the unit off for safety. This has an average size bowl to allow for convenient placement. It is small enough to fit almost anywhere, but big enough to hold an amount of water that will last for 1-2 days between fill ups with constant usage. 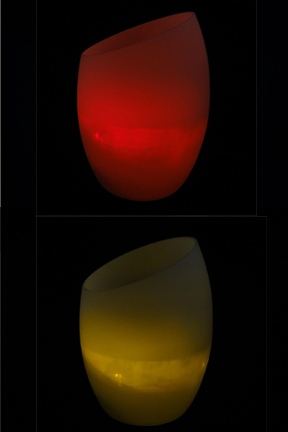 Simple Vase Mist Fountain - Includes a misting device with color rotating LED lights. Perfect size to put almost anywhere. Order Yours Today! I was expecting larger, more vapor and that you could turn the lights off or on independently from the vapor. It's definitely decorative. Doesn't put ANY moisture in the air. Since I have plants in the house and they are located near a window and a heat register, I purchased the mister for them. It does work fine. Although small, which is what I needed, it is very sleek and adds to the look of the room. I do wish it made more of a running water sound, however. I do recommend it.